What Are Hydroelectric Dams Made Out Of? The location when building a hydroelectric station is very crucial. Beyond just constructing the dam, there are other factors at play. and failure to address them can lead to several problems, including flooding the areas adjacent to the station. The materials used in the construction of dams determine whether it will last for long or effectively serve its purpose. 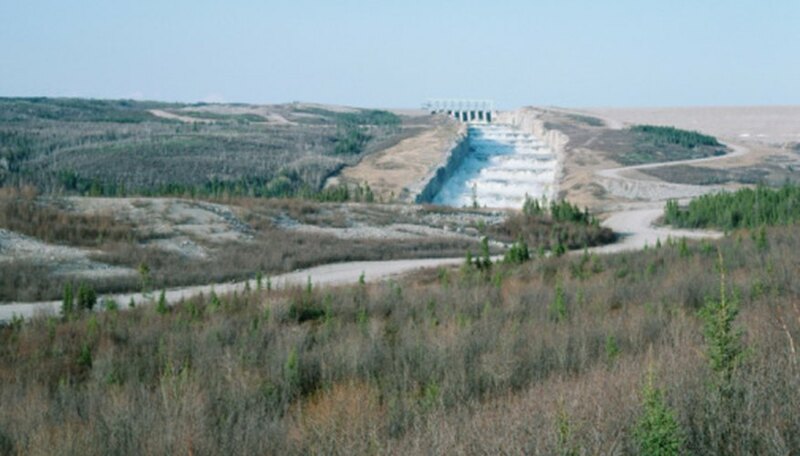 The materials that are used to make the walls of the dam should be able to hold the force of the water. This means that the site for the dam should be at a place where these materials, such as cement and ballast, can be easily found. It is crucial to use high-quality materials to prevent disasters, such as water flooding in areas near the dam. The best location for a hydroelectric station should be along the path of a river. It should be at least at the river canyon or at the place where the river narrows. This enables the collection of the water or the diversion of the river. If the hydroelectric station aims to store maximum water on the dam, the volume of the basin located way above the dam should be calculated to ensure that the dam does not suffer from the problems of insufficient water supply, which, in turn, would affect the running of the turbines. The station should be located in a place where the land or the rock structure on which the dam will be built on is strong enough to hold the weight and the force of the water in the dam. The walls should have a capability of holding and sustaining both visible and invisible forces, whether man-made or natural. The rock structure should have the capability of withstanding an earthquake and it should not allow seepage of water, since this weakens the dam. The walls should be waterproof to avoid being weakened by water. The flow of the water to the place where the dam is located should be sufficient enough to fill the dam. Hydroelectric dams are usually big, and this makes them lose a lot of water through evaporation. The flow of the water from the river should be high enough to accommodate this loss of water without affecting the amount of electric power produced. How Influential Is Physical Geology on People? Kinyanjui, Loise. "Factors Affecting a Selection Site for a Hydroelectric Station." Sciencing, https://sciencing.com/info-8619867-factors-affecting-selection-hydroelectric-station.html. 09 January 2018.